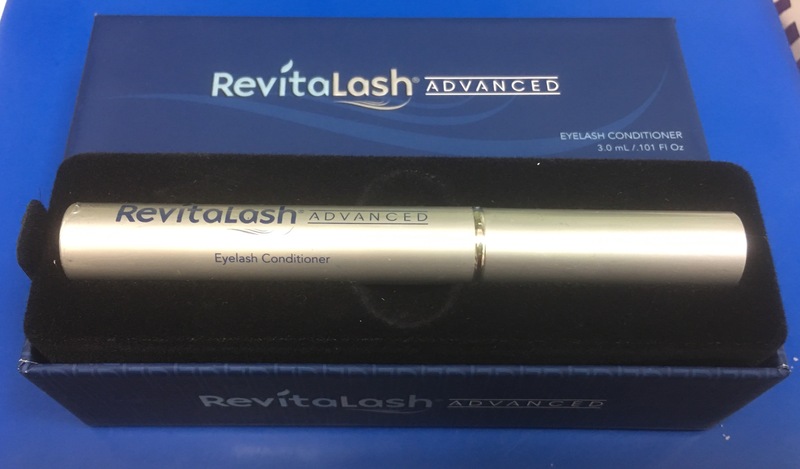 I recently had the opportunity to review the Revitalash Advanced Eyelash Conditioner. I had tried the Latisse in the past and was curious about how Revitalash compared to it and did it really work. 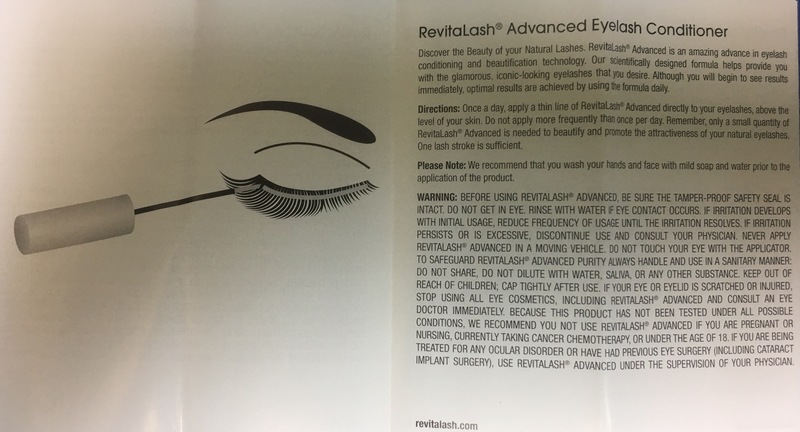 Let’s start with what Revitalash really is. Revitalash Advanced Eyelash Conditioner is just what it says it is. It is an eyelash CONDITIONER. The company claims, by using it daily, you will have healthier-looking, luxurious lashes as a result. It was formulated and designed specifically for healthier looking lashes. It was designed to enhance NATURAL beauty. Latisse is only available through a prescription. It is for people who grow inadequate eyelashes or not enough eyelashes. It helps to grow more hair in the area it is applied. It was discovered purely by accident. Back in 2001, Allergan developed a medicated eye drop used to treat ocular hypertension. In addition to successfully lowering eye pressure (the only treatable risk factor for glaucoma), many patients using this medication experienced a side effect — they began to grow longer, fuller and darker lashes. May cause brown darkening of the colored part of the eye which is likely permanent. LATISSE® may cause eyelid skin darkening which may be reversible. Only apply at base of upper lashes. DO NOT APPLY to lower lid. Hair may grow outside the treatment area. If you have eye problems/surgery, consult your doctor. Common side effects include itchy and red eyes. If discontinued, lashes gradually return to previous appearance. Even with those warnings, I have to admit, I wanted to try Latiss so I had a doctor I worked with at the time write me a prescription for it. The pharmacy at Sam’s Club had the best price on it, and I took it home to try it. The instructions where a little complicated. You had to use a new applicator each time for each eye. I started out doing it correctly and lasted about 2 – 3 weeks, but then I would forget, or I wouldn’t have the time. Eventually, I just stopped doing it all together. I did not have any of the side effects mentioned, I applied it correctly, it just became too much of a pain just to have nicer, longer, eyelashes. Fast forward to recently when I had an opportunity to try Revitalash. My first thought was, NO THANK YOU! Been there, done that! The person I was talking to stopped me. He listed to me complain about Latisse and promised me this would be so much easier. He said I would love it. I reluctantly agreed to try it but in my mind I thought….this is going to be a waste. FULL DISCLOSURE…..I was given the sample for FREE. Now he knew I was already going to be against it and didn’t have high hopes, but I want to make sure it is documented I did not pay for the sample. While I was waiting for the sample to arrive I googled some before and after pictures. I tend to not believe before and after pictures all the time because I believe they can be photo-shopped too easily. The pictures always seem to be on perfect faces! My face isn’t perfect. I’m overweight, I’m blotchy at times without makeup. I knew without a doubt I would take REAL pictures to show the difference if there were any. When the product arrived, I read the instructions. Seem’s pretty simple. Of course, when I was starting out, I was so careful. I would use some OCuSoft Plus Lid Scrubs to clean both eyes, wait for that to dry, and then apply the Revitalash. I set an alarm on my phone to go off at 10pm each night, so I wouldn’t forget to do it. As time went on, I realized I was making it too hard for myself. Now I have the tube in my toothbrush holder. I step out of the shower, I apply the Revitalash, then brush my teeth. The lashes are dry by the time I’m finished and I can apply my makeup as usual. It takes maybe 20-30 seconds to apply it the way I’m doing now, so much easier then when I was doing the Latisse. When I started, my eyelashes were ok. They weren’t horribly short, but I think every female wants longer, fuller lashes. If I can get longer, fuller lashes without dealing with fake eyelashes, I would be happy! Over the months of using the product, I went out of town a few times and was pleased with how easy the Revitalash travels. I just threw it in my makeup bag and kept the same routine, hop out of the shower, apply the conditioner to my lashes, then brush my teeth. I always kept it close to my toothbrush, even while traveling. There was a small time, around June where I didn’t do the Revitalash for about 3 weeks. It was right before I switched to putting it by my toothbrush, I would just keep forgetting to use it. 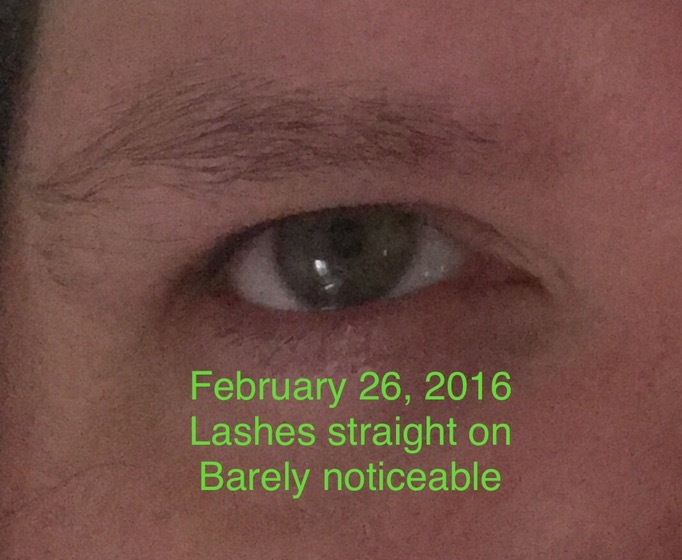 Here are some pictures over the months…..As you can see from the splotchy makeup here and there and the mascara remnants, I did not use any filters on the pictures or touch them up in any way unless I indicated as such in the picture.
. They have a different brush for the lower lashes and the upper lashes. I am not the neatest when it comes to applying make-up, as you can see from the pictures. I get the mascara blotchy at times, but I do try to be careful. I found this mascara to be easy to use and had a nice effect when I used it. Overall, I have to say I have been very happy with the Revitalash Advanced Eyelash conditioner. I believe it does make my eyelashes longer, fuller, and I have noticed I don’t have as many falling out. They feel great. They seem to hold the mascara better when I do use it. If you want longer, healthier, fuller eyelashes, available WITHOUT a prescription and without any of the negative side effects, I would recommend trying this. If you do try it, let me know what you think about it!